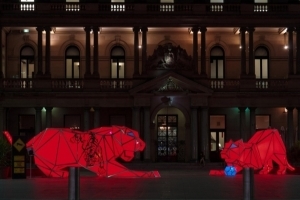 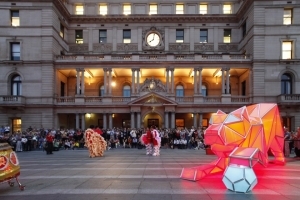 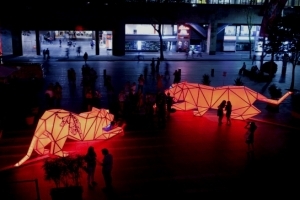 Commissioned by Customs House, Sydney to raise awareness about the endangered status of tigers in 2010 the year of the tiger, giant origami tigers were designed by international firm LAVA. 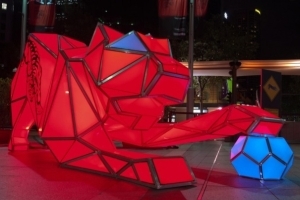 The tigers are the size of a truck at 2.5 metres high and 7 metres long yet weigh only 200kgs and use fully recyclable materials, aluminium and barrisol. 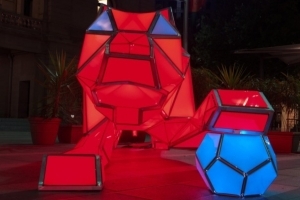 Low energy LED lighting brings the sculptures to life.